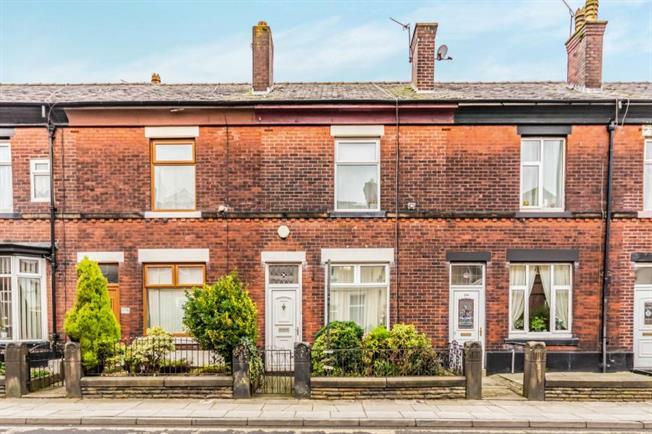 Deceptively spacious garden fronted two bedroom terrace property comprising of two reception rooms, kitchen, two double bedrooms (the second benefitting from a large storage cupboard), family bathroom and vast loft space. Externally the property offers a rear yard and is available with no onward chain. The property is in need of modernisation however has tons of potential and benefits from period features such as high ceilings, wooden panelling, coving and ceiling roses.